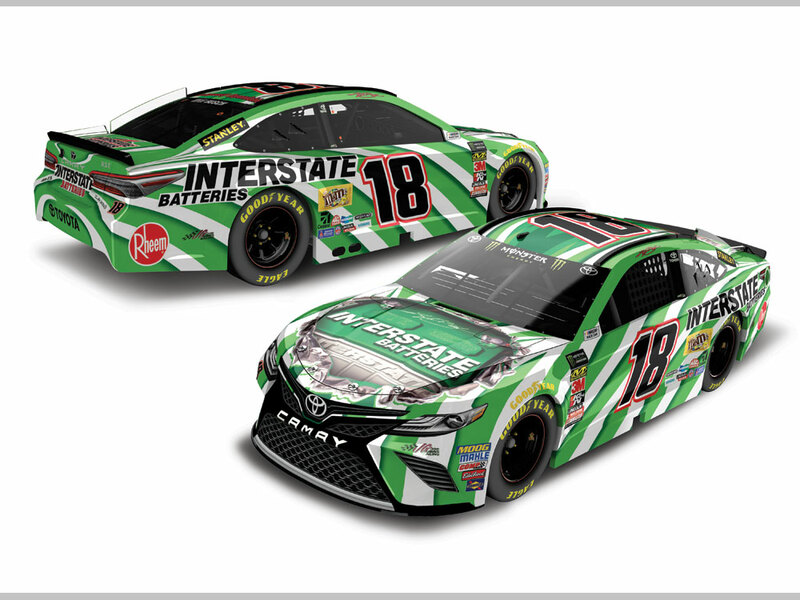 Kyle Busch #18 Interstate Batteries Toyota Camry-Same scheme as last year, same F grade. Erik Jones #20 Sirius/XM Toyota Camry-Same scheme as last year, same B+ grade. David Ragan #38 1000 Bulbs Ford Fusion-Same scheme as last year, same D+ grade. Reed Sorenson #55 Chevy Camaro-Same scheme as Nevada Donor Network, same A- grade.